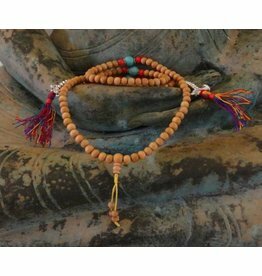 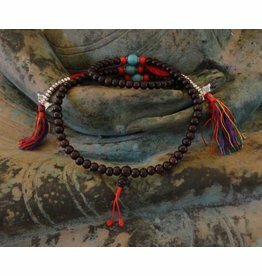 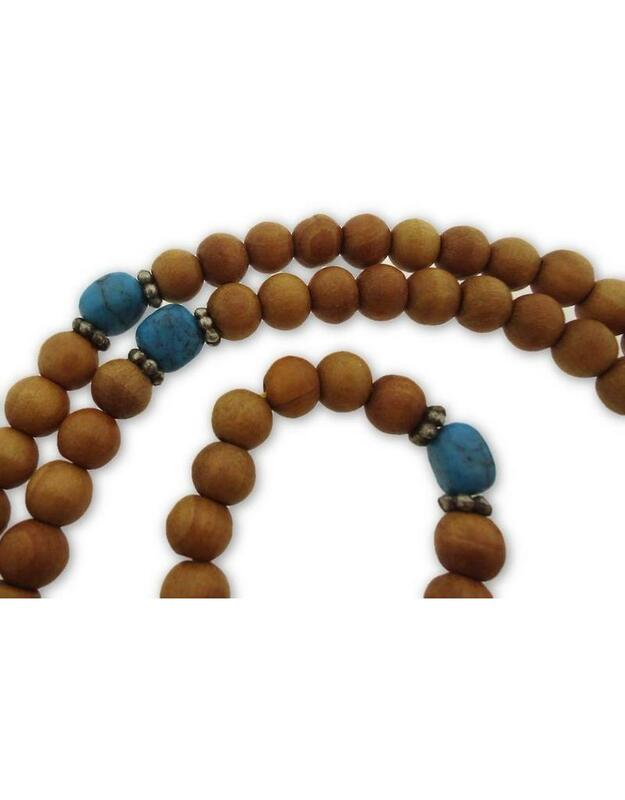 Handmade mala of sandalwood with turquoise stones and Tibetan silver beads. 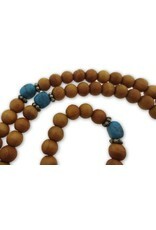 The scent of sandalwood is herbal and helps you while meditating. 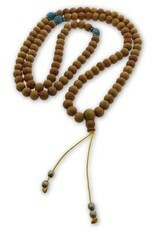 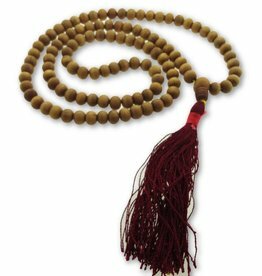 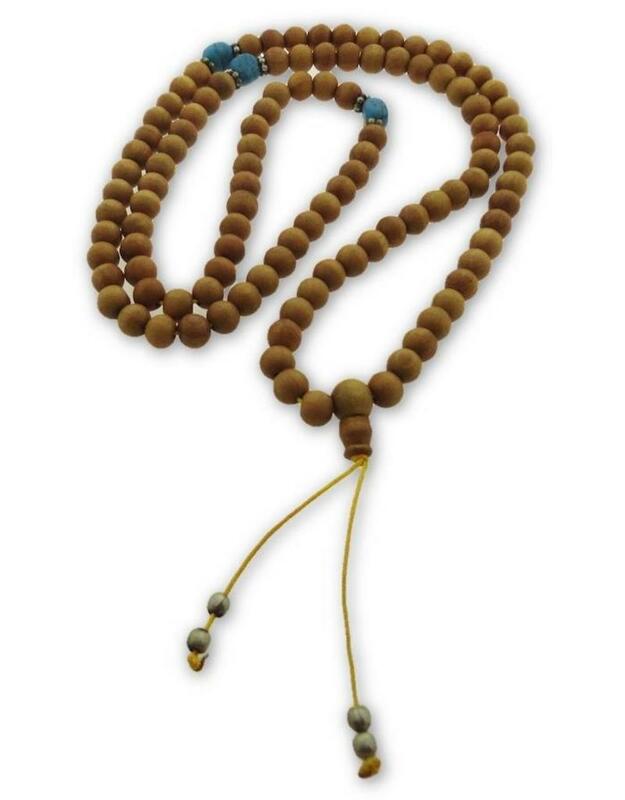 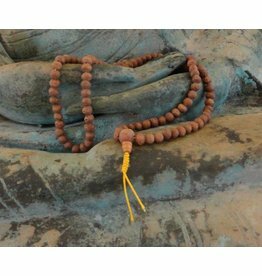 The length of the mala is about 46 cm and comes with a beautiful brocade mala bag.